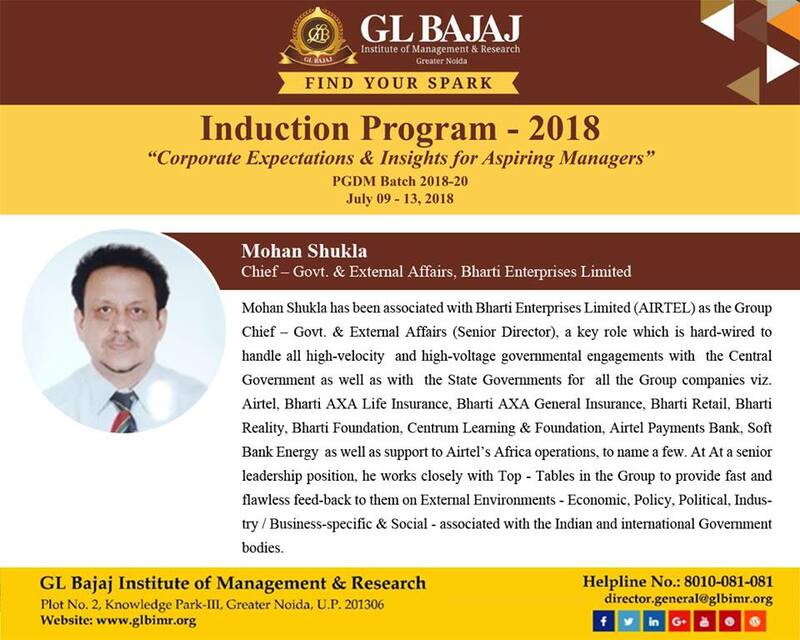 It gives us immense pleasure to share that the renowned industry mentor, Mr. Mohan Shukla , Chief – External Affairs, Bharti Enterprises Limited is invited as Guest of Honor at the Induction Program 2018 of GL Bajaj Institute of Management and Research, Greater Noida on July 09, 2018. Mr. Shukla has been working with Bharti Enterprises Limited (AIRTEL) for close to ‘Five Years’ as the Group Chief – Govt. 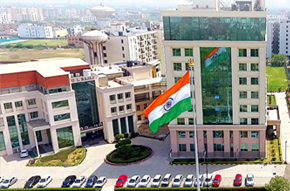 & External Affairs (Senior Director),hard-wired to handle all high-velocity and high-voltage governmental engagements with the Central Government as well as with the State Governments for all the Group companies viz. Airtel, Bharti AXA Life Insurance, Bharti AXA General Insurance, Bharti Retail, Bharti Reality, Bharti Foundation, Centrum Learning & Foundation, Airtel Payments Bank, Soft Bank Energy as well as support to Airtel’s Africa operations, to name a few. Sitting pretty on to the leadership position, he works closely with Top – Tables in the Group to provide fast and flawless feed-back to them on External Environments – Economic, Policy, Political, Industry / Business-specific & Social - associated with the Governments.